2 - Dakota's Comedy Lounge (7:00 & 9:00), Kelowna, B.C. 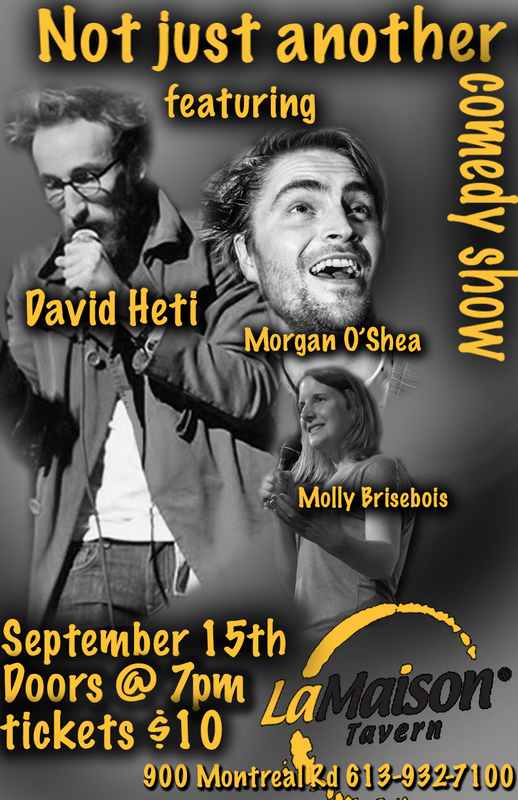 3 - Dakota's Comedy Lounge (7:00 & 9:00), Kelowna, B.C. 24 - Comedy MIX, Vancouver, B.C. 25 - Comedy MIX, Vancouver, B.C. 26 - Comedy MIX, Vancouver, B.C. 28 - Laugh Gallery at Havana (9:00), Vancouver, B.C. 28 - Stacked Comedy (9:00), Vancouver, B.C. 29 - Comedy MIX, Vancouver, B.C. 30 - Cords Comedy (9:00), Vancouver, B.C. 26 - Chronic Comedy @ Canna Clinic on Commercial (8:00), Vancouver, B.C. 25 - Press Box @ 2889 E. Hastings (9:00), Vancouver, B.C. 25 - The Comedy Mix @ 1015 Burrard Street (8:30), Vancouver. B.C. 24 - Comedy Night at Tavern @ 1141 Hamilton Street (9:30), Vancouver, B.C. 4 - The Comedy Store, Belly Room (8:00), L.A.
1 - The (Kinda) Open Mic @ The Satellite, L.A.